This item is currently out of stock until February 23, 2018. 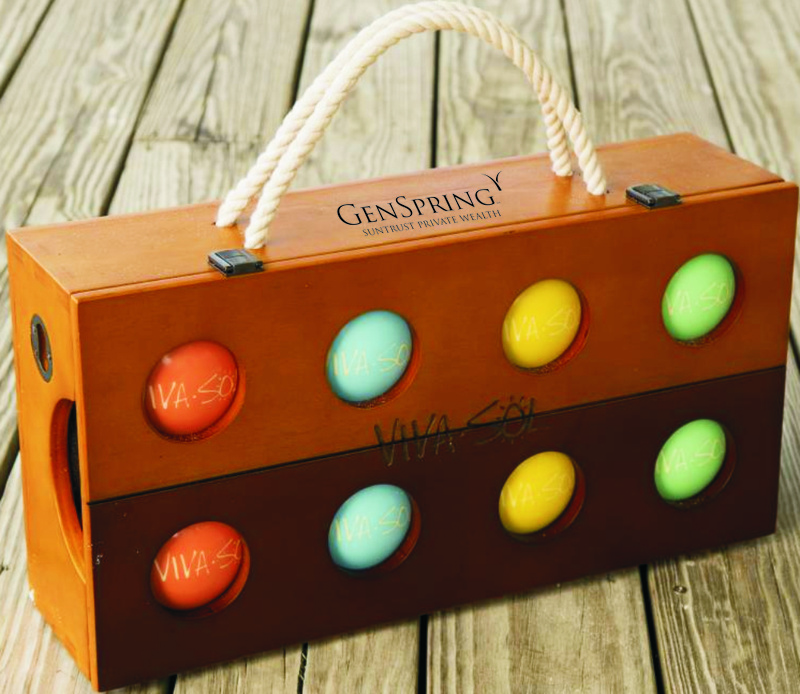 Viva Sol Resin Bocce Balls are portable and ready to take to the beach, backyard or tailgating. Portable resin bocce ball set. Case is imprinted with GenSpring Suntrust Private Wealth.